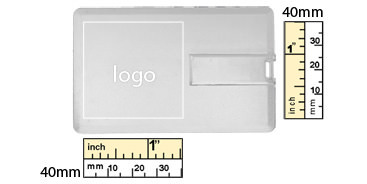 The iCard USB drive is unique among USB promotional products for its credit card-like shape. 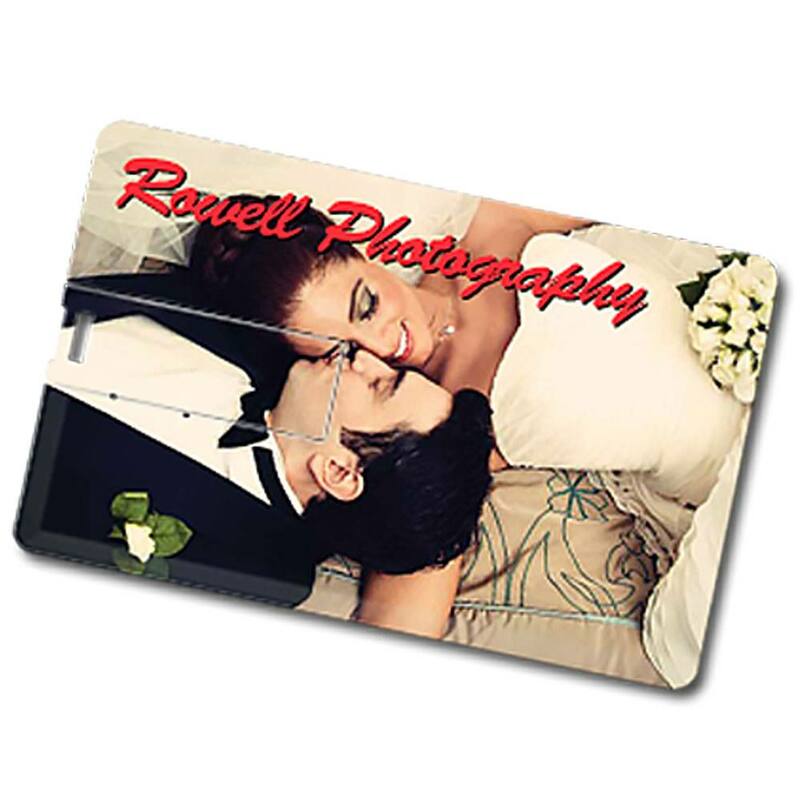 The business logo and contact information are printed directly on the surface in stunning detail and vibrant colors. 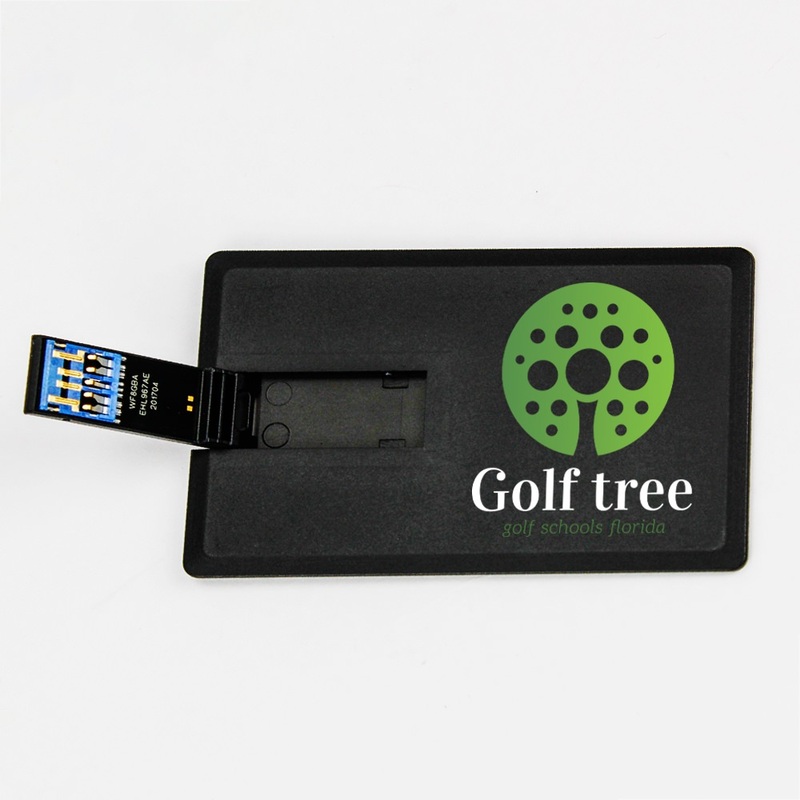 These credit card custom promotional flash drives are shaped like most business cards and can even easily fit into a wallet or purse. 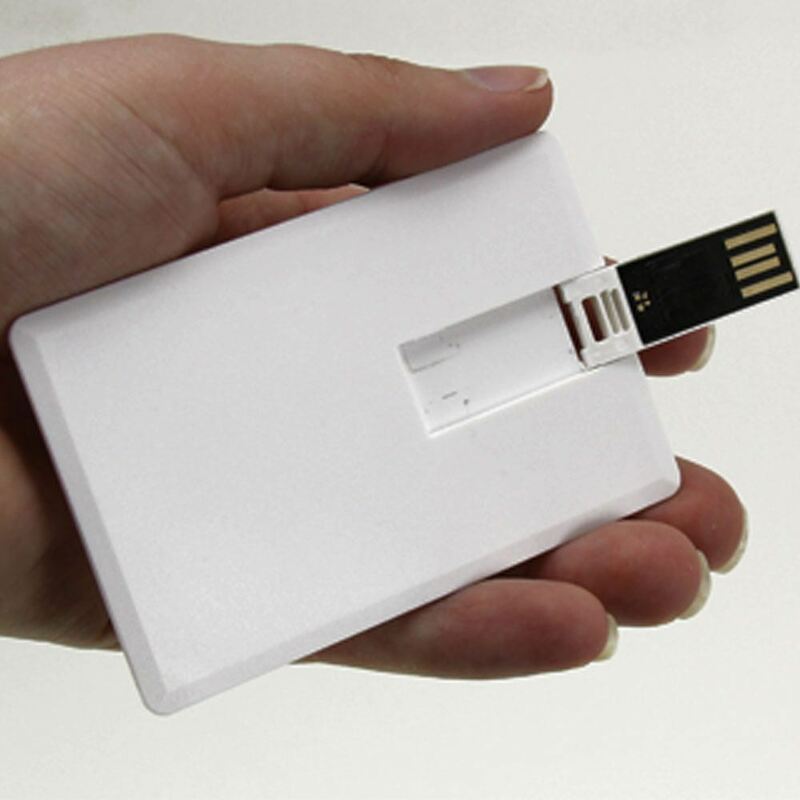 The flash drive is on a swiveling hinge and folds into the casing when not in use. 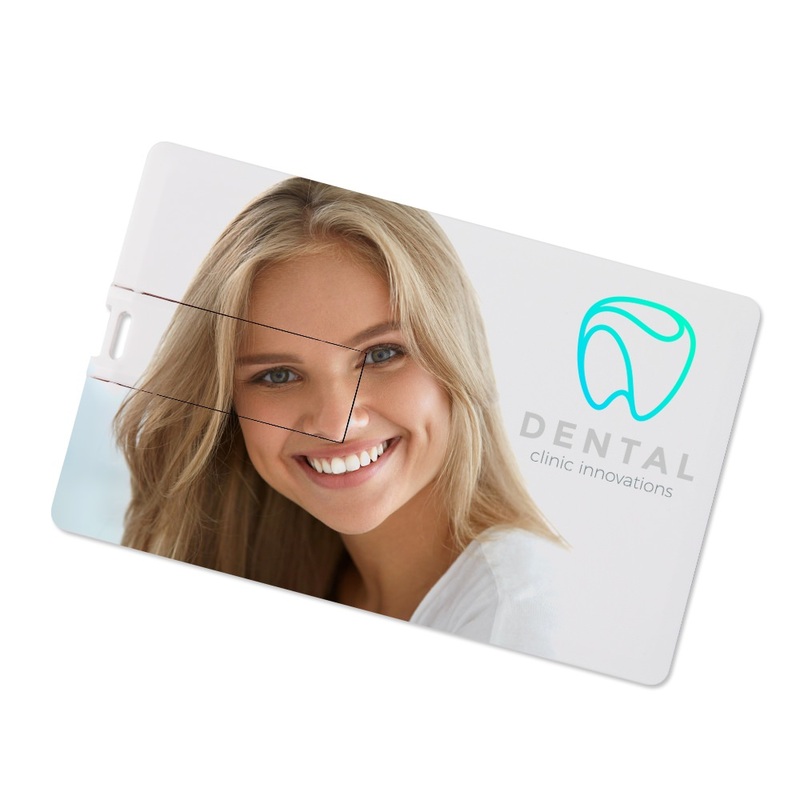 The iCard Credit Card USB is available in a variety of capacities and bulk quantities. Turn Times: Express in 1-5 Business Days, Standard in 10 Business Days. 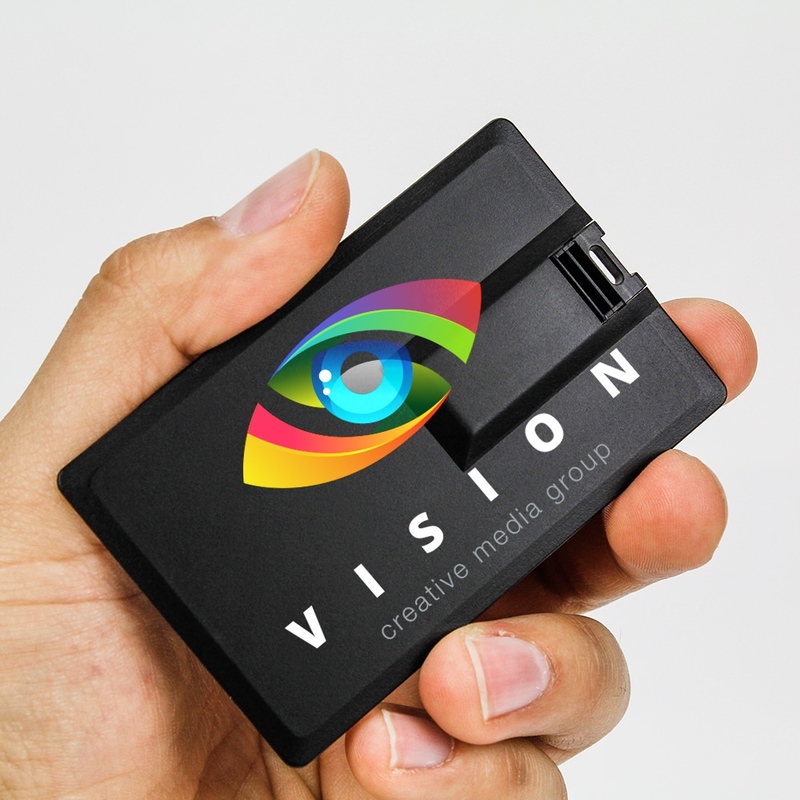 For discrete data storage combined with an advertising twist, the iCard Credit Card promotional drive is a must. Your business logo and contact information are easily printed and viewed on the surface in brilliant colors and crisp clarity. 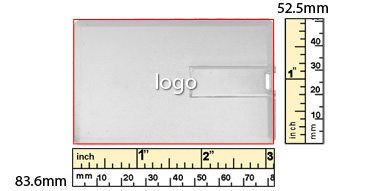 Your potential customers or clients won’t be able to miss your information, but they might miss the cleverly hidden flash drive port! Customers love the discrete, spy-gadget like brilliance of the swiveling hinge mechanism that folds the port into the casing when not in use. 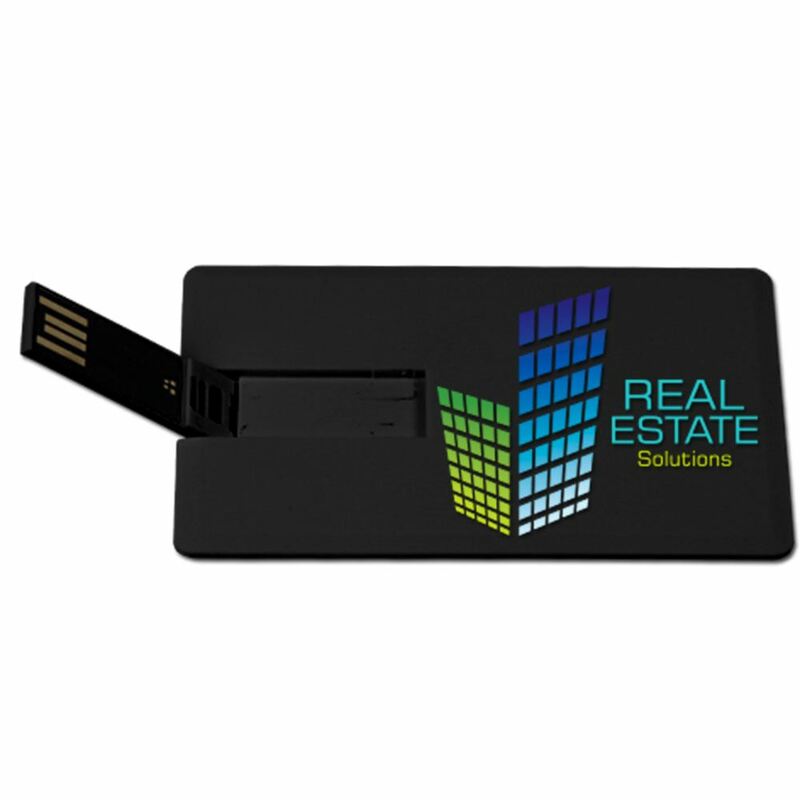 This promotional drive is shaped like a business or credit card and easily slips into pockets, luggage, wallets, and purses while providing up to 32GB of data storage! 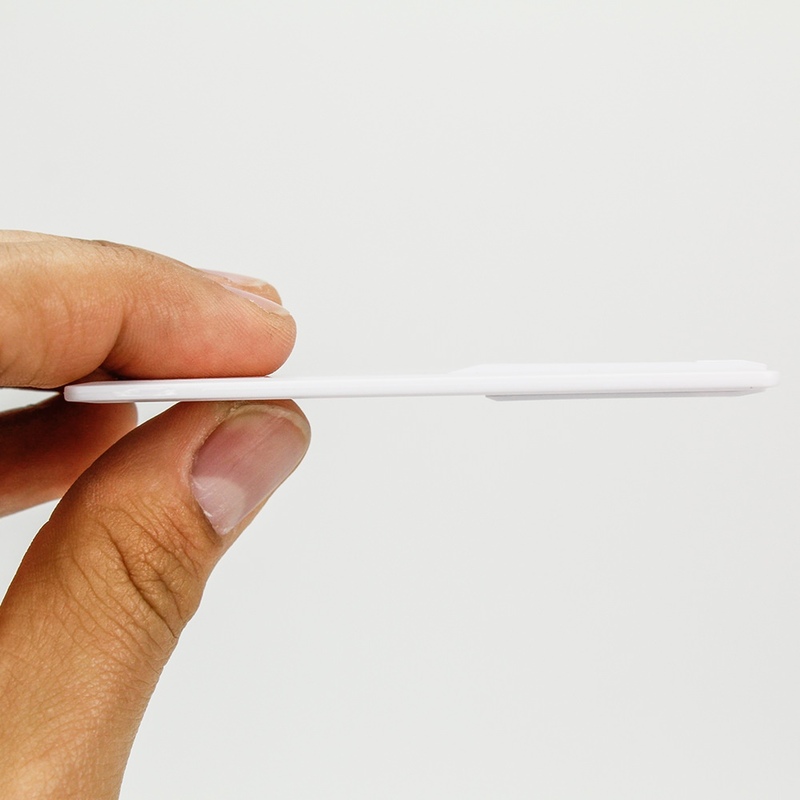 They are an ideal promotional giveaway item.